AndroidPIT is made up of a mosaic of languages and nationalities and this has become even more apparent with our Inside AndroidPIT series. You may have noticed her around already, but today’s Inside AndroidPIT interview focuses in on Loie Favre, Editor from the COM team. So without any further ado, lets get to know Loie a bit better. What do you do at AndroidPIT? I’m the Team Leader over at the English speaking site, AndroidPIT.com as well as Editor, Forum Administrator and Translator. Everyday I write articles, send emails, answer user comments and translate cool articles from the other AndroidPIT sites. I wouldn’t say that I’m the key player behind the scenes of our site because we’ve got an awesome team and together we are a force to be reckoned with…. How long have been you working here? I started working at AndroidPIT in February 2013, so it’s been 10 months now. Time has just flown by! What did you do before joining AndroidPIT? I was living in Victoria which is right on the southern tip of Vancouver Island on Canada’s western coast and was working as a federal employee for the Canadian Government. I ditched the office attire, quit my job and moved to Berlin where I got a job here soon after. Now I can wear whatever I want, sweatpants included. I try to travel somewhere as much as I can and recently I got my scuba diving certificate in Italy. I think this is my favorite hobby right now, though it’s hard to practice in landlocked Berlin. Otherwise, I really like meeting friends for drinks, going out for brunch, checking out local markets, dancing, painting and chilling with my boyfriend. Christmas is here and I am really enjoying Berlin’s Christmas markets! Which Android phone do you use? I have a Samsung Galaxy S3 and hope to get a new one soon, maybe a tablet like the Nexus 7 or a Note 3. What’s the one Android App you couldn't live without? Pou, duh! No, actually, I rely on my messaging apps so that I can keep in touch with my family and friends abroad which is super important for me. This means that I’ve got constant beeps from Hangouts, WhatsApp, SMS, Facebook and Skype. I just started using BitStrips which seems to be all the rage on Facebook these days where you can create an Avatar and place them in daily cartoons. Otherwise, I like to keep on top of things with Feedly, edit my pics with PixlrExpress and save my plants in Zombies vs Plants. What other gadgets do you use? I have an iPod, which i don’t use too often anymore, and a juicer ;) However I would love to get a Scentee and a Pressy! 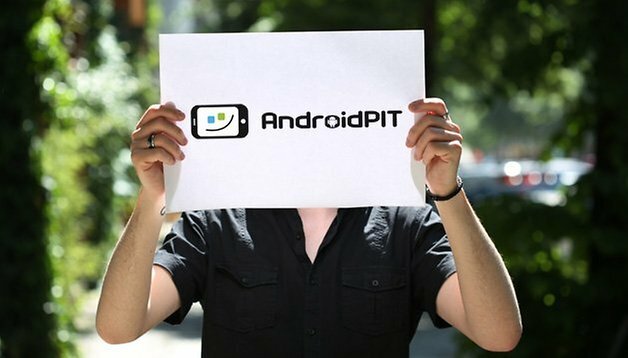 What do you love about Android and AndroidPIT? What I love about Android is that it’s not perfect and everyone seems to be ok about this fact, to some level at least. Even if there are bugs and crashes up the ying yang with some apps, that just gives us here at AndroidPIT a job to do in solving them! I love that just anyone can start developing apps for free, right from their kitchen table if they are so inclined, I love the many free apps that I try and promptly uninstall from my phone if I don’t like them and that awesome moment when I discover something super cool. I enjoy working at AndroidPIT for 3 reasons, in no particular order: people, beer and ping pong. We work with an international crew of young people who are really excited about what they do and who love to chit chat, have a pint and a good laugh almost every day. I also like that I can make fun videos and be creative too! That’s what is so great, not only about AndroidPIT, but also about Berlin in general. Children and girlfriends are incompatible with Berlin.